The McDonnell Douglas MD-11 is a three-engine long-range wide-body jet airliner, manufactured by McDonnell Douglas and, later, by Boeing Commercial Airplanes. 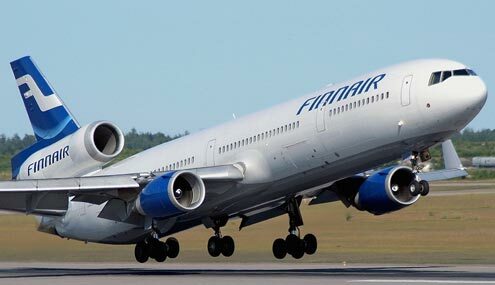 Based on the DC-10, it features a stretched fuselage, increased wingspan with winglets, refined airfoils on the wing and smaller tailplane, new engines and increased use of composite materials. It also features a glass cockpit that decreases the flight deck crew from the three required on the DC-10 to two by eliminating the need for a flight engineer.